‘When Charlotte was one and a half she went to Weymouth with the King and the Queen and their daughters. 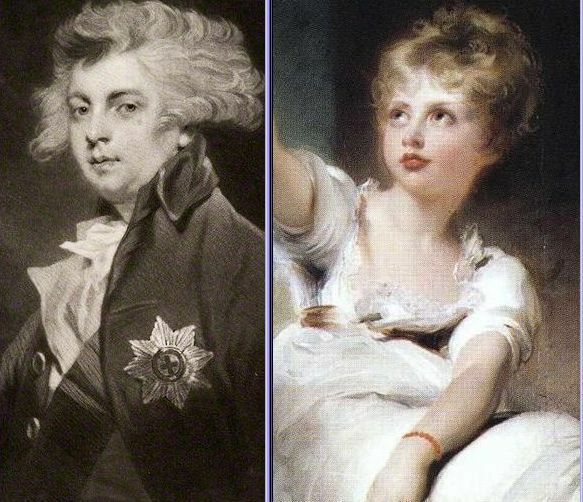 Princess Elizabeth wrote to the Prince of Wales:”I must tell you an anecdote of Charlotte which has amused me much. When she goes to bed she always says, <<Bless papa, mamma, Charlotte and friends,>> but having been crueley [sic] bit by fleas the forgoing night, instead of ‘friends’ she introduced ‘fleas’ into her prayer. Lady Elgin being told of it said we must make her say ‘friends’; Miss Hayman with much humour answered, <<Why, Madam, you know we pray for our enemies & surely the fleas are [the] only ones H.R.H. 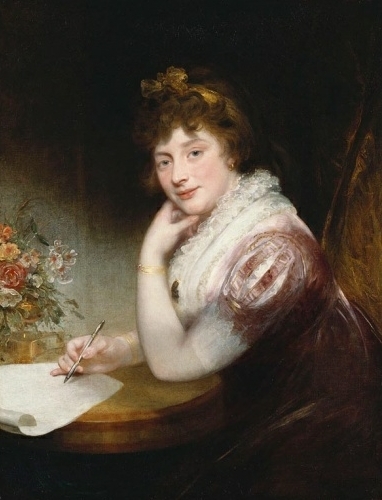 has, so she is perfectly right.”It seems a pity that cheerful, jolly Miss Hayman did not remain with Charlotte; but she queered her own pitch by becoming too friendly with the Princess of Wales. The Princess took a fancy to her, and asked if Miss Hayman might be allowed to look after her accounts in her spare time. This produced an explosion from the Prince. “I told her she was wrong [in declining the invitation], and begged her to reflect seriously on any step she might take if similar overtures were renewed, but she said she was a very determined person when once she formed an opinion…that she knew I should think her a very wicked woman, but that I did not know and could not imagine all the circumstances: I might otherwise agree with her…” This was a typical Caroline scene: she loved to make a mystery of her grievances, telling just enough to whet the appetite of her listener, and indicating untold horrors in what she left unsaid. But Lord Minto was right: she should not have refused the Prince’s odder. It was her last chance. She must have known that Lady Jersey, the original femme fatale, was no longer of any significance: the Prince was tired of her, and was trying to disentangle himself. He was also, with the help of intermediaries, planning to return to his kind, beloved, comforting Maria Fitzherbert. “Fat, fair, forty”, Caroline had called her in her tactless way when she spoke of her to the Prince; but she felt no ill will towards her, and is said to have remarked later that she, Caroline, had committed adultery ut once, with the husband of Mrs. Fitzherbert.